Axiom SP Visco takes advantage of the Axiom Difference and is designed to provide increased immersion, using a Viscoelastic Foam instead of the Hydrolite fluid bladder seen in the Axiom SP Fluid. Viscoelastic material is both viscous (changes shape slowly) and elastic (it returns to its original shape). It deforms and returns to shape very slowly. There is a significant lag between when you deform viscoelastic foam and when it returns to shape. Because energy is effectively absorbed and dissipated during the time lag there is less reaction force pushing back after deformation. Axiom SP Visco is designed to provide increased immersion, allowing the trochanters to bear an effective load. This improves stability by widening the base of support and reduces the load the tissue that supports the Ischial Tuberosities must bear. 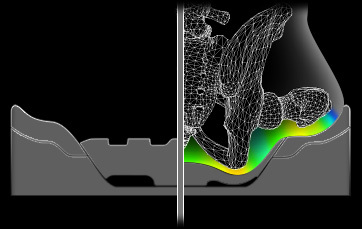 A thick section of specially designed Viscoelastic foam deforms to immerse and envelop the Ischial Tuberosities. Axiom SP Visco is constructed with foam that has a high IFD and density. 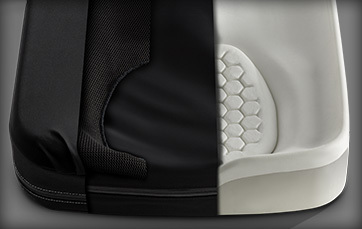 The dual density polyurethane foam base offers firm support in the lower layer with a durable comfort layer on top. 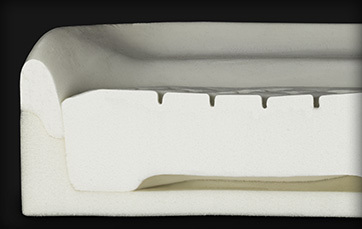 While the viscoelastic foam insert with unique hexagonal shapes increase envelopment and reduce compression around the ischia and coccyx. 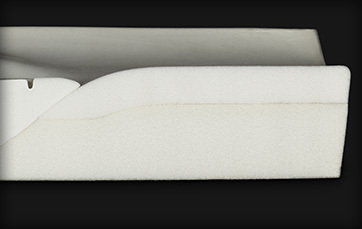 High-quality foam materials lead to a long-lasting, comfortable, and high-performing product. 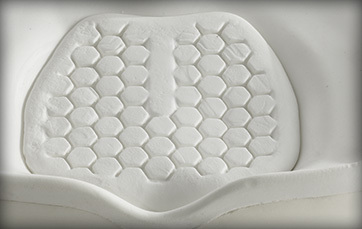 The viscoelastic foam insert with unique hexagonal shapes increase envelopment and reduce compression around the ischia and coccyx. 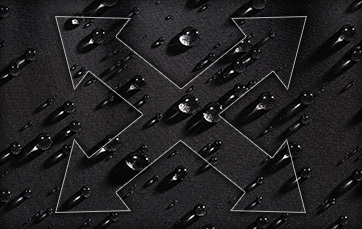 The outer cover features a microclimatic spacer fabric layer with horseshoe design around the well for layer reduction allowing the foam insert to rest directly beneath the pleated 4-way stretch Lycra cover to reduce surface tension. Its important for all cushions to have a properly designed pre-contoured shape. Thats why we cooperated with Georgia Tech to study anthropometrics. Axiom SP Visco has a properly designed pre-contoured shape, designed to provide increased immersion, allowing the trochanters to bear an effective load, widening the base of support, and reducing the load the Ischial Tuberosities must bear. The well also has two small areas where foam is removed under the Ischial Tuberosities to facilitate immersion. Axiom SP Visco has an innovative cover that is aesthetically pleasing with functional benefits for both the client and caregiver. The super 4-way stretch Lycra outer cover reduces surface tension while the pleated 4-way stretch inner cover with self-sealing zipper is water resistant and is easy to clean. The water-resistant zipper and loop zipper pull make it simple to don and doff the cover while protecting the foam. There is an easy-to-reach front handle with utility loops for hanging accessories.